Abaco Ferry Service runs on a regular schedule to all the Outer Cays listed below with exception to Lubbers Quarters Cay and Tilloo Cay. Chartered service for these islands is available. They offer a reliable and on time service. Settled by the Loyalists in the late 1700’s and set on a picturesque Harbour, Hope Town is a quaint fishing village that many have grown to love. The residents of Elbow Cay have a strong sense of community. 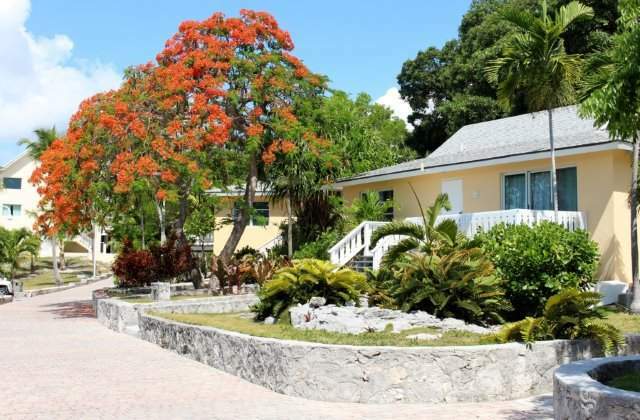 Elbow Cay offers a variety of accommodations for visitors, second homeowners, long term vacationers and permanent residents. Organized activities include The Box Car Derby, Hope Town Community Garage Sale, Art Shows, Art Classes, Crab Races, Swim Clubs, Sailing Clubs and so much more. Home of the famous candy striped Hope Town Lighthouse, Hope Town has a wide offering of Abaco real estate. Protected dockage is at a premium, but is available. There are beautiful old Settlement Homes, Waterfront Homes on the Sea of Abaco, Beachfront Homes, Interior Homes and Vacant Land available for purchase. Green Turtle Cay is an outer cay (small island pronounced Key) off the island of Abaco. It is approximately 3 miles long and ½ a mile wide. The main village is New Plymouth and was settled in the 1770’s. The village itself is small enough to walk,but we would recommend getting a golf cart so you can explore the entire island and its beautiful beaches. In New Plymouth there are several local restaurants, grocery stores, churches, cart rentals, bars, hardware store, etc. Looking for a bit of history? The Loyalist Monument Garden and Albert Lowe Museum are also located in New Plymouth. Access to Green Turtle Cay is by Ferry from the mainland or by private boat. These Ferries will take you to anywhere on the Island that has an accessible dock. Black Sound and White Sound are two additional harbours within the island. Black Sound has a dry dock facility for storage and boat repair. White Sound is where the Green Turtle Club and the Bluff House are located along with many private residences in both places. Both have fine dining and often have entertainment. Brendal’s Dive Shop is located right next to the Green Turtle Club. Coco Bay is to the north and Gilliam Bay on the southern end of the island. Green Turtle Cay Real Estate offers a wide selection of properties. 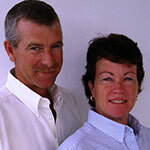 Waterfront Homes on the Sea of Abaco, Beachfront homes, Interior Homes, Condos, Town Homes and Vacant Land. Great Guana Cay is approximately 5.5 miles long and is accessible by Ferry from Marsh Habour or private boat. It is very well known for its absolutely beautiful which sand beaches, turquoise water and lovely reefs on the Atlantic side .On its northern end is The Baker’s Bay Golf & Ocean Club, a private property owners only club . From there coming south the island has great elevations with residences sparsely dotting the shoreline and interior properties. In the main village, where the ferry docks, the houses become closer together along with a few shops, restaurants and grocery store. At the eastern end of Guana Cay harbour is The Orchid Bay Club and at the western end is Grabbers Restaurant and Bar. Nipper’s, well known for its Sunday Pig Roasts, is across the hill on the Atlantic side. All are within walking distance. There is also a dive shop, small grocery store and cart rental companies close by. Guana Cay real estate offerings are: Waterfront Homes on the Sea of Abaco and Atlantic Ocean, Interior Homes, Waterfront land and interior lots for sale, many with dockage. Located Between Tilloo Cay and the Mainland of Abaco, this small island is sparsly populated. There is not a scheduled stop by the ferry service to Lubbers. However, you can charter the ferry should the need arise. There are two restaurants on the island, Lubbers Landing and Cracker P’s. Waterfront and Interior homes and vacant land is available for purchase. A quaint, picturesque Abaco island, Man O War Cay was settled by Loyalist in the 1700’s. A small island, only 2.5 miles long and narrow. Famous of their boat building skills through the Bahamas, there are still boats being built here. There are two small grocery stores, marina, gift shops, hardware store, restaurants and bakery. There are several companies that rent Golf-carts. No alcoholic beverages are sold on the island. A small selection of Man O War Cay real estate is available for sale. Located just south of Elbow Cay, and East of Lubbers Quarters, Tilloo Cay is a long narrow cay with the Sea of Abaco on one side and the Atlantic Ocean just a stones throw in many places. It has nice elevation, which offers breath taking water views. There is no ferry service offered for Tilloo Cay, but a charter is possible. Waterfront Real Estate on Tilloo Cay has both rocky shoreline as well as beautiful white sandy beaches. Dockage is available. Scotland Cay has it’s own runway, owned by the property owners. Strictly a residential community, there are no commercial establishments. All supplies will need to be taken by boat/ferry or flown in. Owners must use Immigration and Customs services offered at Marsh Harbour International Airport, Treasure Cay Airport, Spanish Cay Airport. There are many beautiful Abaco properties to choose from on Scotland Cay. The real estate offerings are both Waterfront and Interior Homes and Lots. Dockage is available. Abaco Lifestyle, relax, play, enjoy life!